This blog follows my last blog "In the Beginning". It deals with examining the Science and history of Creation as described in the KJV Bible verses the theory of evolution that has in-filtered our modern scientific world view. Others I will give credit to the quotes when made. Fossils are found all over the world. Earliest findings by the Greeks, which thought they were products of living animals and plants. By the middle ages people thought they were formed in stone by the action of the sun and stars. 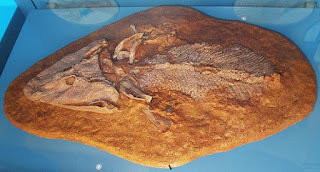 Ristoro d'Arezzo in 1282 scientifically examined fossils and suggested it was evidence of the Biblical flood. In 1500 Leonardo de Vinci also found marine creatures while building a canal in northern Italy. 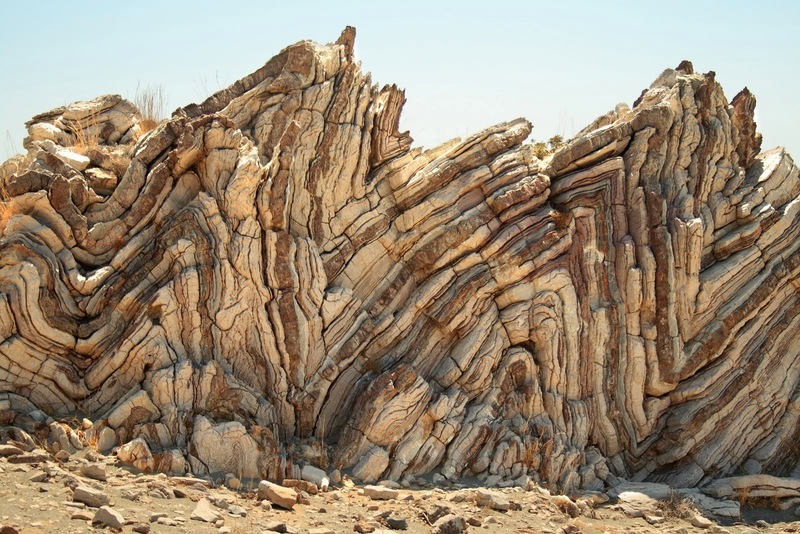 Steno in the 17th Century suggested that rock strata were deposited on top of one another at different times of history. This was opposed by Professor of Physics, John Woodward. Woodward believed the fossils proved a flood. 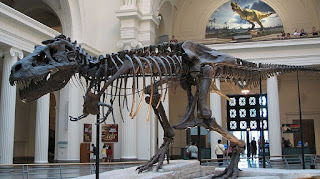 He established the science of fossils or Paleontology. In the 18th Century, Erasmus Darwin (Charles' grandfather) and Lamasrk voiced evolution again. Lamarek gave lectures in Paris, however, so did Georges Cuvier, a world famed Paleontologist. 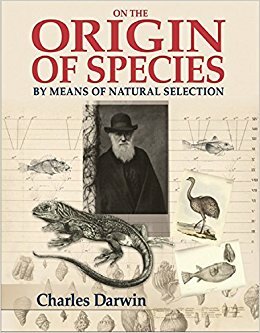 Georges was opposed to evolution but believed that great catastrophes produced the fossils, that is, others beside the flood. This gradually caused a general disbelief in the Biblical flood. James Hutton, called the father of geology, published his theory of "Uniformitarianism" in 1795, which claims that all things are as they always were with no great catastrophes ever taking place. There have been 67 major eruptions of volcanoes in the 20th Century and 23 in the 21st Century. All of these change the environment substantially. Lyell in his work, "Principles of Geology", expounded on Hutton's ideas. He believed that erosion was sufficient to explain the state of the earth. These men influenced Charles Darwin. Darwin did not say new things, only better supported the earlier suggestions. Darwin's theory was published in his book, "Origin of Species by Natural Selection" in 1859. Basically it stated that young always differ from their parents in many ways. These differences can be passed on to other generations. Favorable variations will increase while unfavorable variations will decrease and die out. The strong will survive. Eventually a new species might arise, given enough time. Since Darwin's book, observations have shown that no mutation has benefited a species. A Bishop, Samuel Wilberforce, spoke to an audience (who were mostly unfavorable to evolution). In opposition to him was Thomas Henry Huxley. The Bishop did not have his facts together and made a jackass of himself, while Huxley made mincemeat of him and his replies. 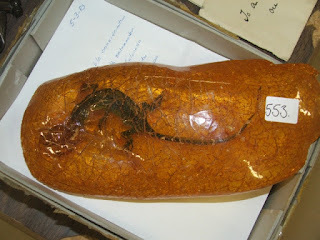 This started a lindslide, and within 10 years scientific opinion throughout the world favored evolution over Creation. The basic premise of the idea of evolution is that matter, time, and chance formed the whole universe. That there is no God or Creator. Thomas Huxley's grandson, Sir Julian Huxley, was a famous evolutionist. When asked about a creator he stated, "The idea of God interfered with our sexual mores." With no God to be accountable to, there is no sin to be repented of. 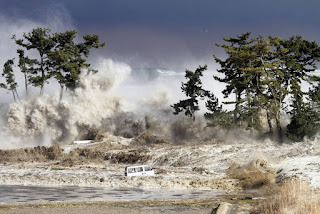 Concerning the fossils and the flood, every culture on the planet has embraced the reality of the world wide flood (as described in the Bible) in legend and folklore. A closer look at Darwin's book, The Origin of Species 1859. There is never a specific example of any "new" species of plant or animal...it is theory. Many variations within species are discussed and many speculations of how different organisms might have evolved in the ancient past are discussed, but there is no proof at all of any vertical evolution. Darwin's questionable theory of unlimited variation by gradual accumulation of favor mutations in offspring has been widely accepted the world over as "proof" that all living things came into being by evolution. Now over 159 years later, there have been thousands of scientist's life efforts and millions of dollars spent to solidify his theory. Never has one new species benn observed to evolve nor is ther any certain knowledge of how the mechanics of evolution function. There is no parallel to an unproven theory being accepted as fact anywhere in science. There has been observations of bacteria and viruses that have mutated laterally, but within species and more destructive and not beneficial. Darwin himself states several times on several of his observations and conclusions that if any of them were proven wrong, the whole cold be without merit. An example is the eye. Such a complex organ has to function with all of it's parts working together. It could not form a small part at a time. "If it could be demonstated that any complex organ existed, which could not possibly have been formed by numerus, successive, slight modifications, my theory would absolutely break down." Through out the whole of the book the phrases and words, probably, may, could have, and I think are used. And so it continues in evolution texts today. 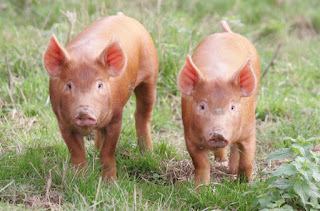 Darwin admits that domestic animals have not changed in 5000 years. "We know nothing about the origin or history of any of our domestic breeds." Darwin classes a variation within a species as a new species. "Natural selection always acts with extreme slowness." His theory started the almost infinite time to achieve changes ever so gradual. He also stated that, "all changes must be advantageous to the species in order to survive." No mutations have been recorded that were advantageous to a species. Darwin also states, "Our ignorance of the laws of variation is profound." 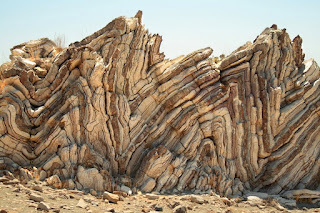 Darwin admits that the geological record is extremely imperfect. He believed that with more exploration and excavation the missing links would be discovered. This has not been the case, yet the theory of evolution is deeply embedded in world belief. Darwin states, "I do not pretend that I should ever have suspected how poor a record of the mutations of life, the best preserved geological section presented, had not the difficulty of our not discovering innumerable transitional links between the species which appeared at the commencement and close of each formation, pressed so hardly on my theory." 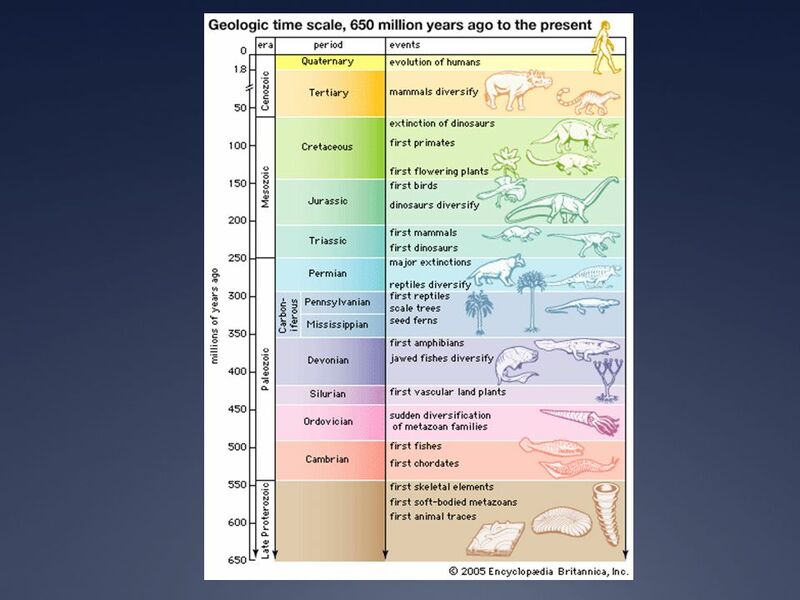 The geological strata and fossils found in the last 159 years do not support any of Darwin's theory without tampering with or removal of some of the evidence to twist the data. In the 2nd edition of the Origin of Species is this quote, "There is grandeur in this view of life, with its several powers, having been originally breathed (by the Creator) into a few forms or into one; and that...from so simple a beginning, endless forms of most beautiful and most wonderful have been, and are being, evolved." Even though it appears that Darwin thought life started with "the Creator", the world has not interpreted this as so. Evolution teaches that some how the necessary element of life came together and by lightning or some force made the first living cell which grew into all life through many adaptations. This theory requires much more faith to accept rather than an intelligent design by a benevolent Creator. Yet all physical evidence reinforces Creation with the overwhelming complexities of life. Dr. Carl Popper is said to be "the greatest philosopher of science that the world has ever known." He stated that, "evolution is not a fact, or a theory. It is a study in metaphysics." (a religion). The bottom line is that the evolutionary thought process eliminates God from life. Ps 139:14 I am fearfully and wonderfully made. There are many great an wonderful things that make our bodies what they are. 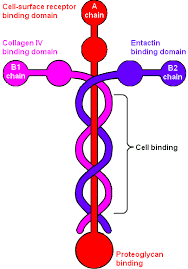 One that is fitting here is Laminin. According to Wikipedia, these are proteins of the extracellular matrix. They are a major component of the basal lamina, one of the layers of the basement membrane, a protein network foundation for most cells. They influence cell differentiation, migration, and adhesion. The Bible says that by Jesus, all things consist, Col 1:17. 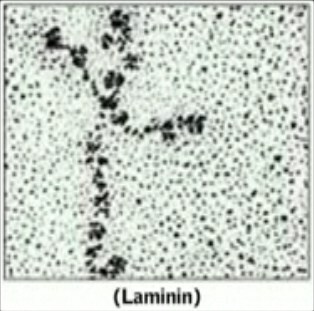 This can refer to the nucleus of an atom being held together, but in the case of Laminin, you can see the cross of Jesus Christ in the protein network of an individual cell. Another example of the complexity of the body is the DNA or deoxyibonucleic acid. This is the map that tells each cell of the body what to become, repair itself, etc. 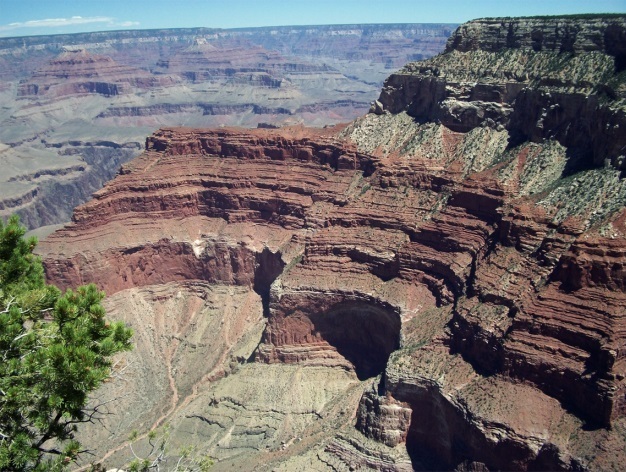 The code is so complex that if the information was fed into a computer and printed out, the paper would fill the Grand Canyon. Ps 134:3 The LORD that made heaven and earth bless thee out of Zion. Ps 146:6 Which made heaven, and earth, the sea, and all that therein is: which keepeth truth for ever. The idea of not having to be accountable to God has produced terrible effects for man. Marx, Lennon, Mao se Tung, and Hitler were all devout evolutionists. Hitler had his troops read Darwin's Origin of Species. 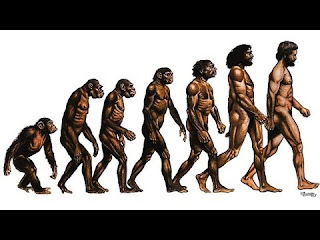 He thought he was assisting man's evolution by eliminating the Jew and creating a new Aryan race. According to Historian Werner Maser, "Darwin was the general source for Hitler's notions in biology, worship, force, struggle, and of his rejection of moral causality in history." Communism, Nazism, and Fascism, are all based on evolution. Sir Arthur Key was a number one evolutionist in Great Britain. He said after WWII, "What we have just seen is for the first time in history a modern, secular, technological state has based itself entirely on the principles of evolution. 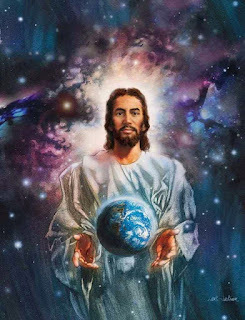 The law of Christ can never prevail until the law of evolution is destroyed." The geological time table was formed on the basis of fossils found in sedimentary rock. According to the evolution theory, basic life forms would be in the lower strata and more complex life forms on or near the surface. The links connecting the different species would also be there. That looks good on paper, but is not the case in the real world. In the lowest strata are found dragonflies, very complex. The ideal strata as defined is very rare, usually only 2 or 3. 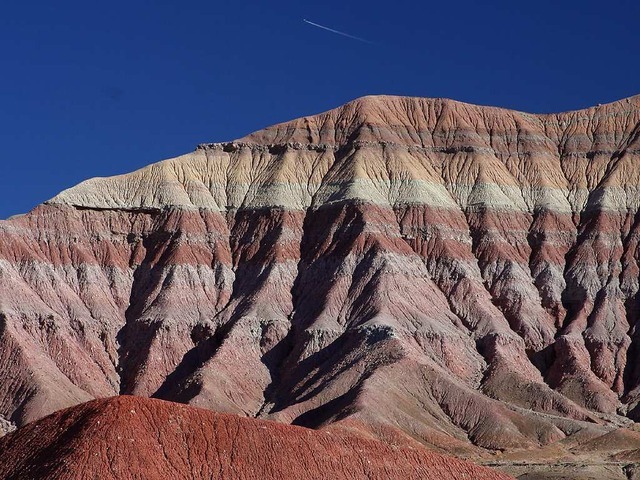 Nowhere can all of the known strata layers be found at once. There has been no "links" found for 159 years. All fossils are formed from an animal or plant being buried quickly and decaying slowly, leaving bones or impressions. 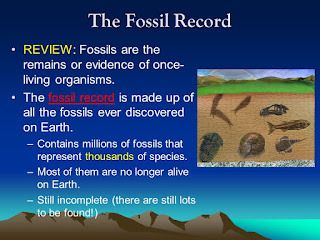 The Biblical Creation view evidence would be that the fossil remains would show animals and plants killed in the 2 floods mentioned in the Bible. They would be in great numbers, and all over the earth, and reflect a violent and rapid death. The sediment from the floods would produce sedimentary rock all over the earth. As sediment was affected by tides and earth movement, some layers would be chaotic. 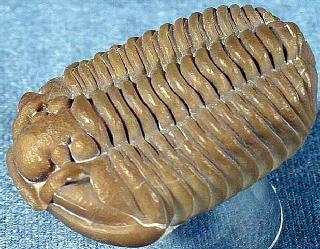 In the Cambrian layer many different kind of animal fossils appear in great numbers. 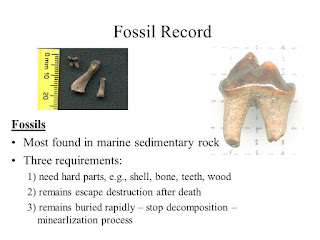 Below this virtually no fossils are found. Protozoa are found above the Cambrian layer. Eohippus (supposed horse ancestor) fossils are found near the surface and not below one another in strata. Similar to Hyrax, a small mouse like mammal. Atrilobite was found in the Cambrian layer, crushed by a shod human footprint in Antelope Springs Utah. Most bones are found in mass graveyards, also coal and oil deposits. Mammoths frozen in Alaska and Siberia, about 5 million. (In 1970 a mammoth was found that was frozen so quickly, it was edible.) Also found were sheep, camels, rhinos, bison, horses, tigers, oxn, lions and other species in the Siberian ice. In Sicily, hippopotamus fossils are so plentiful, they have been used for charcoal. Tropical creature fossils have been found near both poles. 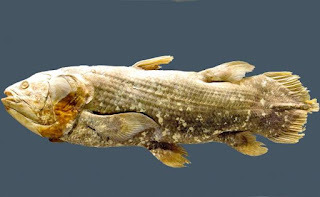 Recent discoveries (Discovery Channel) of a cave where many fossils of different species had been washed into one large cave. It was assumed to be a large local flood. 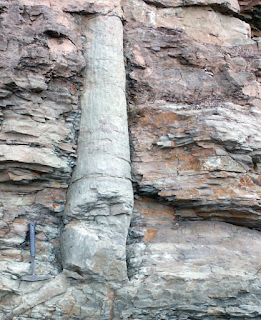 In Arizona, there are petrified forests along with the trees are dinosaur fossils. 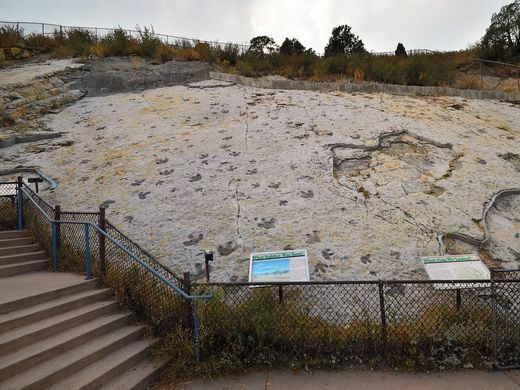 In Uzbekistan 86 horse footprints found in rocks dated millions of years old. In Grand Canyon, AZ, horse hoofprints in rocks which according to evolution predate hoofed animals by 100 million years. 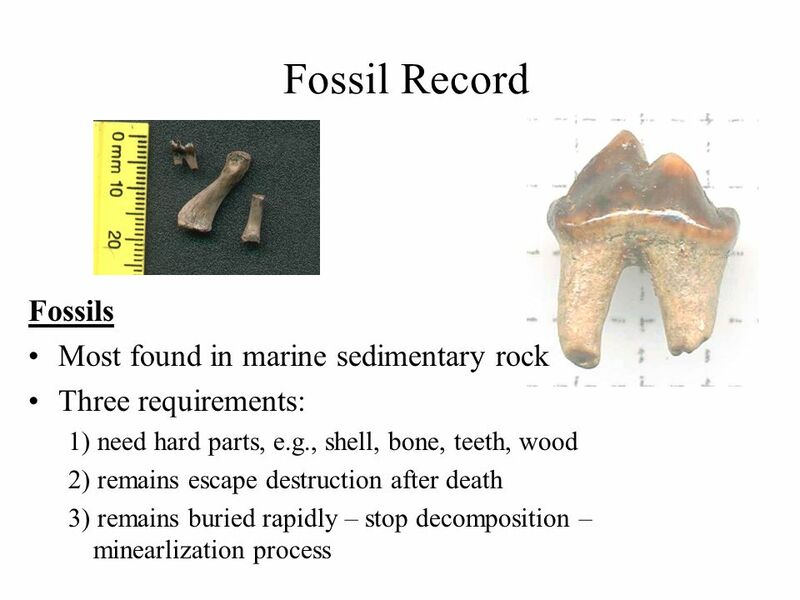 In South Carolina in the same layer of rock was found, dinosaur, whale, elephant, horse, along with human tools. 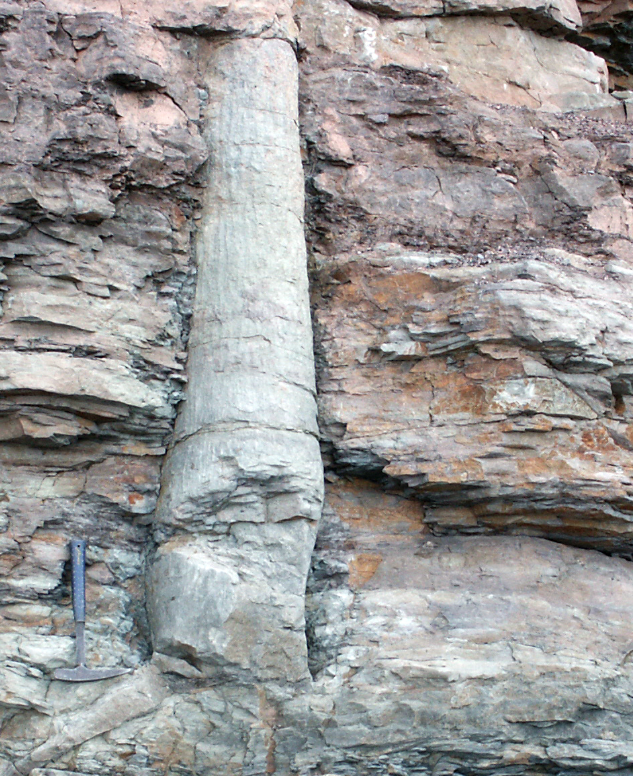 Plant fossils are found in coal beds that supposed to evolve 100 million years after the coal. Cambrian rock in the Grand Canyon, Venezuela, Kashmir, and Guyana were found spors of ferns and pollen from plants which were deposited before plants evolved. There are still excavations going on all over the earth, but all so far have not significantly helped prove the evolution theory, but rather support the Biblical account. But, that is not the way it is always interpreted. It seems with some investigation, that evidence that does not support evolution is suppressed. The driving force in pushing evolution is, no God. The doubt placed in the thoughts of men against Creation has permeated science and education. 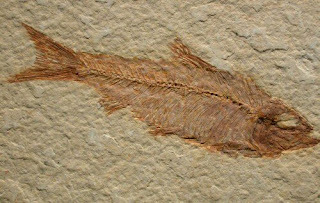 These ar fossils of plants and animals that are not extinct, but still exist today. 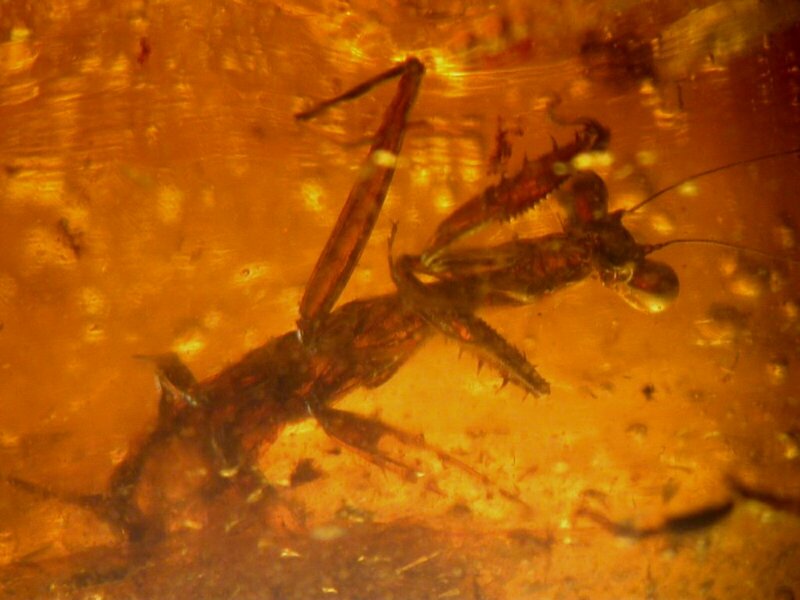 84% of insects still in existence have been found in the fossil record as far back as what evolutionists tell us was 100 million years ago. 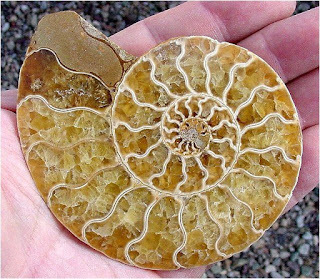 The Chambered Nautilus remains essentially the same as its ancestors of a supposed 180 million years ago. A Praying Mantis, fossilized in amber, is dated to 40 million years ago. 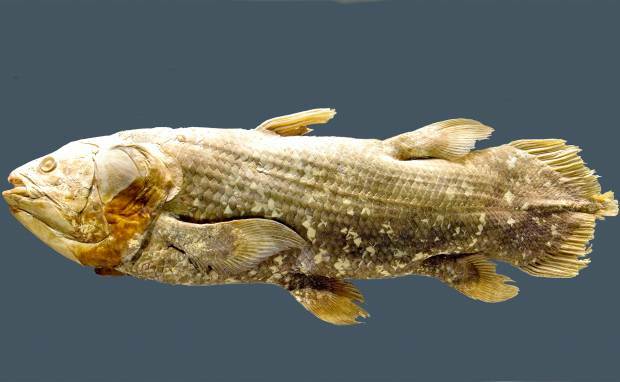 A Coelacanth fish was thought to have become extinct 70 million years ago, but was found alive in the 1930's off the coast of Madagascar. Of the laws of science, the laws of Thermodynamics are the most important, especially the first two. They apply to the most enormous objects down to te tiny invisible objects. 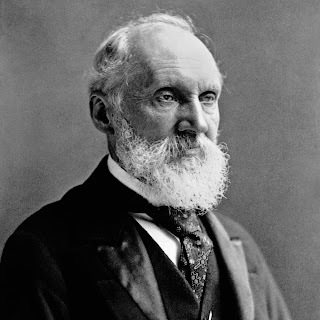 They were formally discovered about 200 years ago by Lord William Thomas Kelvin (1824-1907), a devout Christian and creationist. He made several contributions to science and held 21 honorary doctorates. First Law of Thermodynamics states that the amount of energy and matter remain constant. Matter or energy may change from one form to another, but will always be conserved. Matter and energy can neither be created nor destroyed. (also called the law of conservation of matter and energy). Second Law of Thermodynamics hold that energy and matter have a universal tendency to go to disorder, a process known as entropy. The universe is basically running down in ever form. Organization, if left alone, becomes disorganization. Energy must be added to the system to increase order and lower entropy. These laws are so basic to science, let us examine how creation and evolution stand up to them. 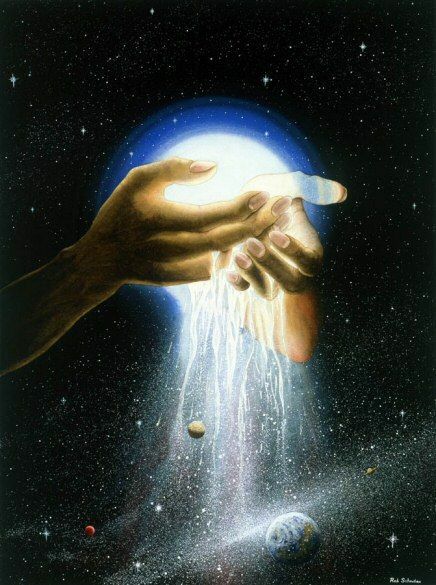 The Bible states that in the beginning, God created all things; after that there was no more creation, just changes. Since then all things have aged and come to entropy. 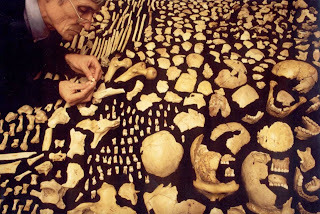 All humans descended from one man, (including his wife that was made from him). The original man had within him all the genetic material for the human race. All animals and plants were created and made to reproduce in kind. So, the Biblical and creation account is in agreement with the 1st and 2nd laws of Thermodynamics. Universe was formed by the Big Bang in which all matter/energy and space were compressed to a very small point and then exploded and expanded. The general thought is that gravity would overcome the expansion, and the universe would collapse and the cycle repeat. There are many theories out there about the Big Bang, but the original idea was disproved as the universe is still expanding and increasing in speed. Now there is another hypothesis brought in about Dark Matter and Dark Energy that might help explain this, however neither has been seen or detected. This is a serious challenge to the 1st Law of Thermodynamics as there had to be an outside force causing the compression. Also where did the matter/energy come from? A chance assembly of proteins and inert particles by chance were shocked by lightning or some force, formed a living cell, from which all life evolved over long periods of time in a upward movement to the complexity of life that what we have today. This is a serious challenge to the 2nd Law of Thermodynamics. All is going to entropy, or from order to disorder, not the other way around where disorder comes to order. All mutations since this theory was published have been detrimental to a species, not beneficial. The observations of bacteria becoming immune to antibiotics are a result of the weakening of the gene pool and not really a mutation or evolution as it is the same species. The speckled moth in England has also been used as an example of evolution, but here again it is a weakening of the gene pool, for there will never be another white moth of this species. 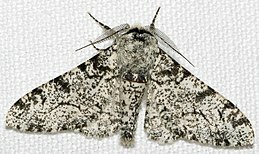 (The white speckled moth showed up on the darker brown buildings after the industrial revolution, and the birds ate them. Only the darker ones survived) Pictures from Wikipedia. The assumption of an upward movement from single inert particles and proteins to complex living systems by chance over eons of time is extremely complex, and could not have happened by chance. DNA as mentioned earlier is a thin filament measuring .000000002 m in dia. One strand undone and stretched to the sun (93 mil mi) would weigh .5 gm. This strand from one DNA molecule would go back and forth to the sun 596 times. 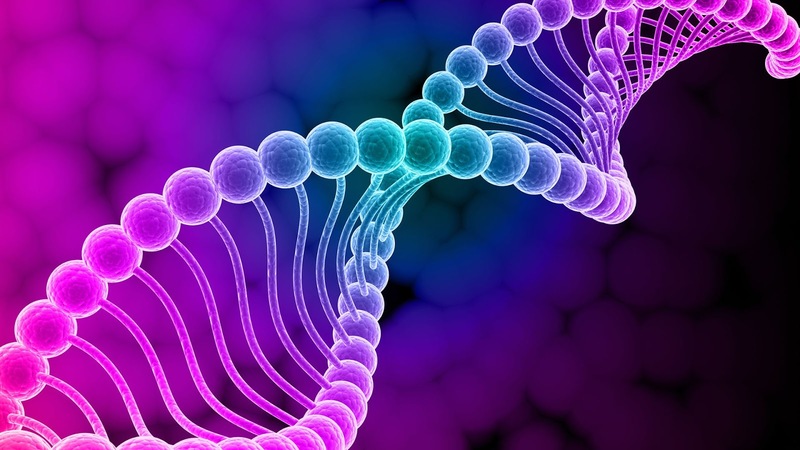 Information in a DNA molecule is a staggering 1.88 x 10 21 power bits per cm. 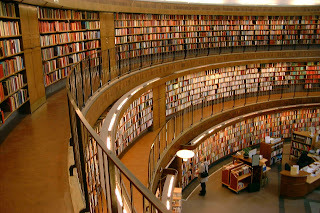 All human knowlege in all books is 10 18 power bits. 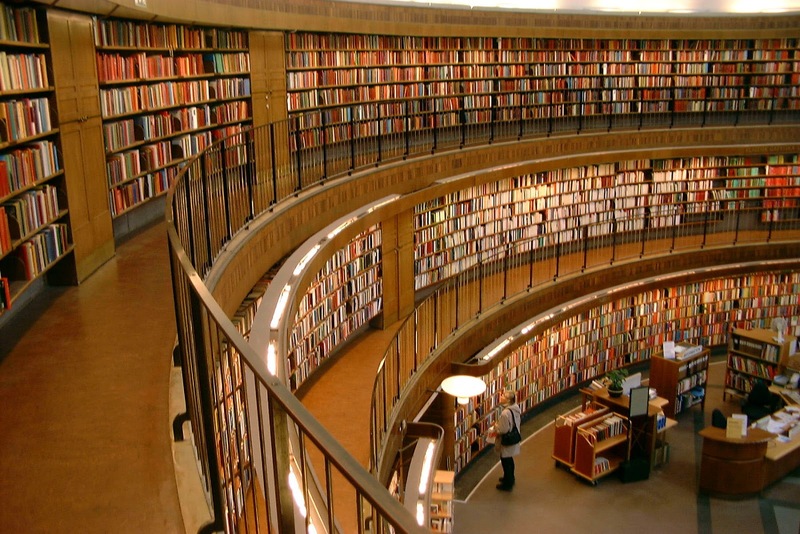 All the libraries of the world could not match the information in one cc (.4 of a cu in) of DNA. At least 20 amino acids are involved in living things. 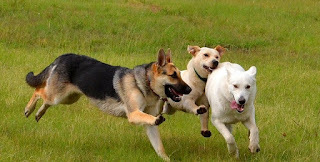 A typical protein has 100-300 amino acids connected in a definite sequence. These sequences give the protein its shape and potential to functions a basic unit of a component of the cell. Note: Amino acids have a mirror image. All living things use the left handed amino acid because the right handed amino acid is toxic. A simple protein has at least 100 amio acids bonded in sequence. There are 20 amino acids to choose from, assuming that the 20 wee available, the chance of forming a protein molecule by chance would be 1.28 x 10 115 power. That is a huge number, but now the proteins would have to form a cell and to do that by chance would be beyond comprehension. Sir Fred Hoyle, a professor of Harvard (Static Theory of Creation), one of the greatest astronomers said, "The idea that a cell could have arisen by chance is evidently nonsense of the highest order." Again I must state that evolution = no God. Matter/energy, time, and chance are what formed the universe and all that is in it. It takes a lot of faith to believe this. I would say more faith than to believe in God as the creator, for the evidence does not support evolution, but an intelligent designer. Francis Bacon was the inventor of scientific induction and deduction of hypotheses and imperial proof. He was a devout Christian who believed in God and creation. 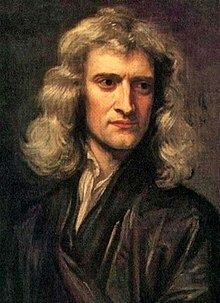 Sir Issac Newton was a great inventor and scientist. In a poll was said to be the greatest scientist ever. 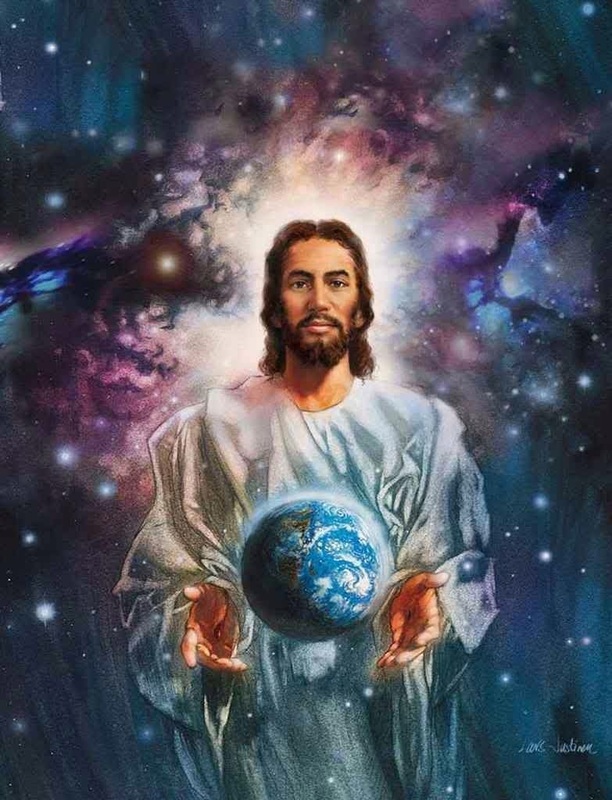 He believed in God, Jesus, and creation. He wrote more books on Theology than on Science. He discovered gravity, laws of motion and force, invented calculus, and dynamics. There is a huge number of scientists who are God fearing, and mostly they laid the foundations for modern science, men like: Joseph Lister, Louis Pasteur, Johann Kepler, Robert Boyle, Michael Faraday, Ambrose Fleming, William Herschel, Robert Boyle, Gregor Mendel, Louis Agassiz, Leonardo DaVinci, Matthew Maury, Bernhard Riemann, Matthew Maury, John Woodward, James Joule, James Clark Maxwell, Carolus Linnaeus, and a host of others. The Creation Research Society has over 600 scientists and is still growing. The present means of measuring the age of rocks, the earth, and organic things are different and can not stand up to real scrutiny because they are all based on assumptions at some point. Yet when you watch TV or read the newspaper, you will see very large and precise figures on the age of things, as if that were fact. It is not. 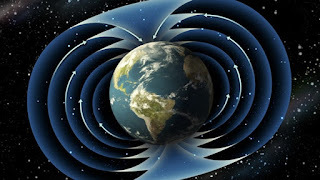 The earth's magnetic field is decaying. 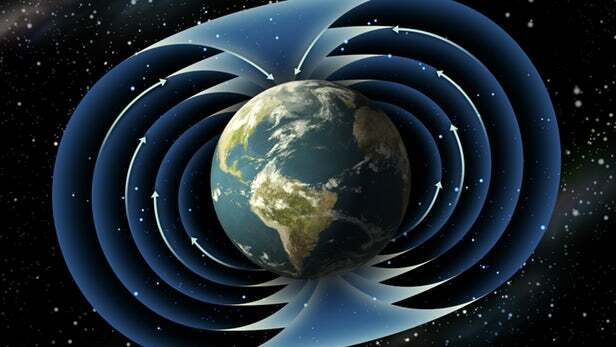 Using this measured ratio of decay, 8000 years ago the magnetic field would have been equal to a magnetic star. Meteoric dust falls to earth in thousands/millions of tons per year. No large deposits have been found. The same dust on the moon was 1" thick. There was talk of the pads of the lunar lander sinking in the dust. Nickel is deposited in the ocean from meteoric dust; the time for the present accumulation is 8-10 thousand years. 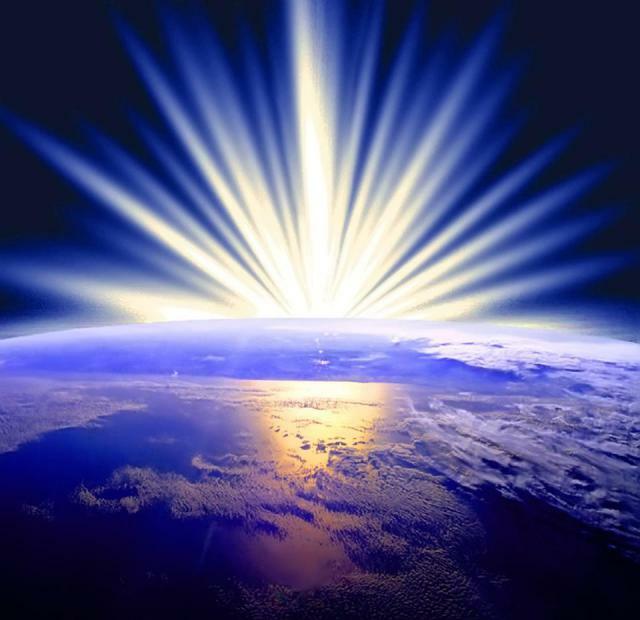 Helium is added to the atmosphere by disintegrating Uranium and Thorium in the earth's crust; assuming 0 to start, the maximum age of the earth would be 26 million years. Sediment in the sea is deposited at a rate of 27,000 million tons per year. This would produce 18.5 miles of sediment in a billion years. There is an average of a couple of thousand feet of sediment on the volcanic rock floor of the oceans. At the present rate of erosion considered constant, the Earth's age would be 30 million years, (not taking into effect Noah's flood). There is a paradox that has been used in some dating methods; rocks dated by fossils in them, and fossils dated by the rock they are found in. All civilization dates back to about 5000 years. 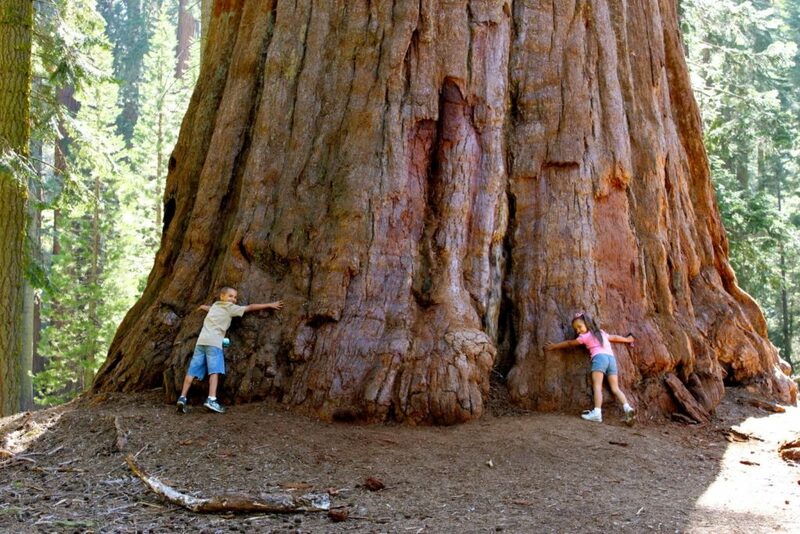 The oldest living things are the giant Redwoods; 4000 to 5000 years counting the rings and estimating the growth rate. Carbon 14 is an isotope of carbon that existis in trace amounts in the atmosphere. Normal carbon isotopes of C13 and C14 compose 99% of carbon. Formed when cosmic rays collide with C neutrons in the atmosphere. Because plants use CO2 and a residual is in each plant, animals that eat the plant and the plant itself retains some C14. 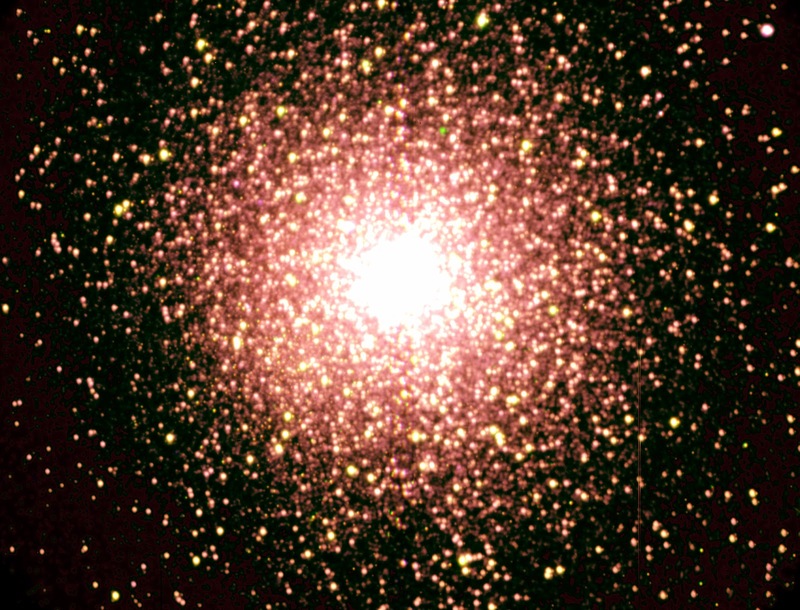 There is an estimated rate of decay of C14 to N14 with a half life of 5730 plus or minus 40 years. With this information, scientists can estimate the age of organic materials of supposed age up to 60,000 years. At least they say that. Problems: C14 produced 1/3 faster than broken down. This would date finds no more than a few thousand years. Evolutionists do not accept this and believe equallibrium despite the evidence. C14 dating depends on the assumption that C14 ratio is always constant. 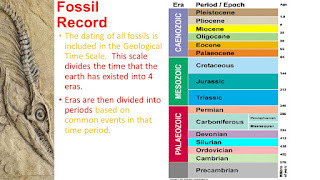 C14 would have been much less before the flood (large atmosphere was 15 times higher than now and would shield from cosmic rays) and the fossils would show very old. The rate of C14 is not constant in the atmosphere; it is affected by many things including catastrophic events. If the age of an organic object is known, then the C14 test should verify the age. This is not always the case. There have been tests on live shell fish, seal skins, and paintings made with organic paint. The age of all were known, but not by the labs. All were off considerably. C14 testing is again, best guess and has a wide range of accuracy. Age of the elements is a measurement of the amount of radioactive material in rocks. Some types of radioactive materials decay at a rate that can be calculated by transformation into another form. Ex: Uranium to Lead. Earnest Rutherford, a physicist, used this method and in the early 20th Century claimed the earth to be 1.6 billion years old. In 2008 the figure was 3.8 billion, and in 2018 it is 4.5 billion. When I was in grade school it was 250,000. It seems that the evolution and age of things are all possible if you just and billions and billions of years to the time. Another example is using Rubidium (Rb87) that is a radiogenic material that decays to Strontium (Sr87) which is non-radiogenic. The half-life is 47 billion years. Another material that is not produced by decay is Strontium 86 which is used for a ratio so that the amount of decay can be estimated. Another method used is the potassium to argon method KAr also a radiogenic method. All of these radiogenic measuring techniques have the problem of not knowing the amount of the material in the original rock, even though they may know the exact decay rate. It is complex, but again the wide range of error must be considered for the rate of decay is another theory that uses uniformitarianism with the rates of half-lives. The age of the universe is estimated using several things. In 2018 it is 13.8 billion years. It goes up on a regular basis. 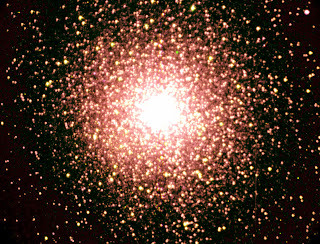 Old Star Clusters is a measurement by observation of Therium decay which has a 14.05 billion year half-life. Old White Dwarfs are measured by the amount of cooling that takes place with an estimated rate. 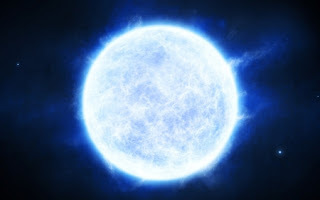 White dwarfs are the middle of a red giant star that has came apart and collapsed. Knowing the speed of galaxies coupled with rate of acceleration gives time to reach the current location. It seems that you would need a starting point too; I suppose that would be the point of the Big Bang. Once again this is complex and best guess. All of these vast times fit in with the evolution model which is applied to everything. The universe and the earth may be much younger than these vast figures represent. This is what the Bible teaches. Remember that the Bible is not just the oldest written history we have readily available that lists by generations the civilizations of man, it is the revelation of God and a promise of how in His love relates to mankind. 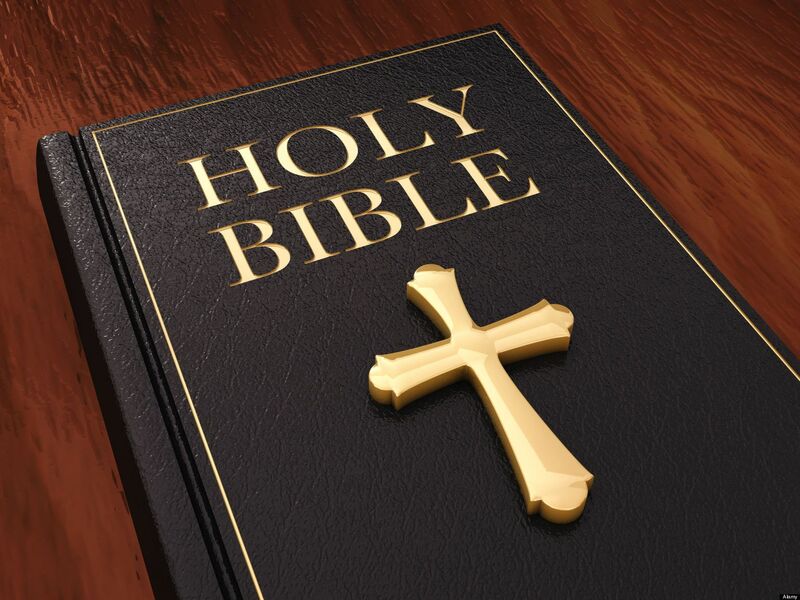 It is not a book written by men and their own thoughts, but it was written by men inspired by the Spirit of God. The Bible tells us prophecy which declares the future and has never been wrong. God's hand has been involved with all that we are, and can see, and can detect. Not including the world wide floods of Genesis, there have been many cataclysms in our recorded history that injects error into the theory of evolution, concerning erosion, fossil formation, strata layers, ete. Uniformatarianism is used as a basis in determining the massive supposed ages of things; all things remaining constant is easier to try and explain how things form or change with long periods of time. 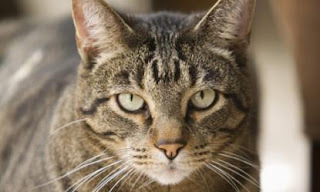 But when cataclysms happen, that throws a wrench in the works, and they do happen. Volcanoes world wide that have moved many cubic miles of earth and changed the atmosphere, and terrain in a very short period of time. 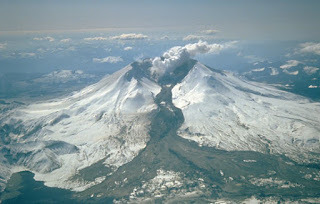 Earthquakes have moved strata, and shifted things in the earth that make chaos of the strata. The Bible tells us that earthquakes will increase. In the 20th Century there were 22 major earthquakes over 8 on the Richter scale. In the 21st Century there have already been 21 earthquakes that have measured over 8. Tsunamis move things around not only on the surface, but below ground as well because of earthquakes involved. There are many recorded major tsunamis over the centuries, but to show the increase in recent times; from 2010-2017 there were 92 according to NOAA Nat Wx serv. Comets, meteors have caused cataclysmic events as well. 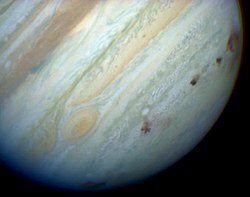 We saw Levi-Shoemaker 9 hit the gas giant Jupiter (which God placed in our Solar System to protect the earth from those type of things). Some scientists believe the earth may have been stuck in the past with astrological objects that were cataclysmic. All of these type of events alter the evolution theory of gradual change considerably. The earth at one time in the past had a universally warm, tropical climate. That is what is written in Genesis and what the evidence supports. Corral is found near both poles which has to live in 86 degrees F.
Coal is found near the poles as well, (massive amounts of plants covered rapidly with sediment). 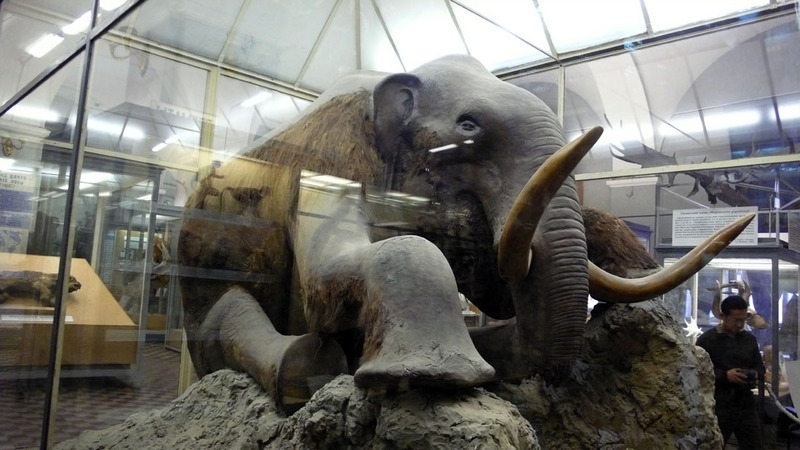 Mammoths are found frozen in Alaska and Siberia. The traditions of several ancient countries support long life spans in the ancient pst: Egypt, India, Persia, Greece, etc. They also record the world wide flood of Noah. 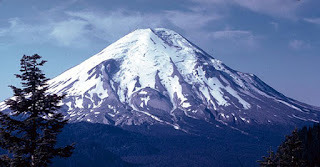 Evidence of the flood is found every where in the world, even on tops of mountains. Several animals and species were covered suddenly. Large groups of fossils together support sudden death by flood with their grouping, sediment, etc. June 11, 1891 in Illinois Times: Mrs S. W. Clup found an 8 carat circular gold chain inside a lump of coal, described as antique and of quaint workmanship. Epoch Times in 1800's: Colorado rancher found an iron thimble inside a piece of coal that came from 300' inside the earth. It was called the "thimble of eve". It rusted away with improper handling. 1944 Newton Anderson was 10 years old and found a brass bell in a lump of coal in Upsur County, WV. The bell had a long artistic handle with a demon figure. There was an iron clapper still in the brass bell. The bell was featured on CBS in 1992 on the "Ancient Secrets of the Bible" documentary. Now it is in the Genesis Park collection in NH. In the Creation Evidence Museum at Glen Rose, TX is a cast iron pot found in coal by a worker in a power plant. The coal was mined in OK. The Bible describes a man called Tubal Cain who worked in metals before the flood. Fossils found in sediment fit the order of a worldwide flood: 1st marine near the bottom, fish from ponds and lakes next, land animals last for the flood too 6 weeks to reach its height. Then reptiles, and faster mammals, then man. Because of the chaos, the exact order may not always be found. 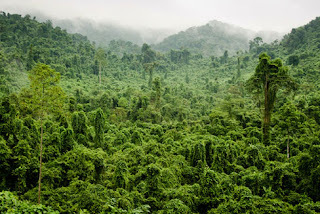 Peter Wohllehen a German forester and outdoors man says: "Darwinian picture of forests being clusters of disconnected individuals, battling for sunlight and soil, is all wrong. Trees talk to one another." Wohllehen calls it the "wood wide web" connected by roots and fungal filaments. The trees use pheromones also. 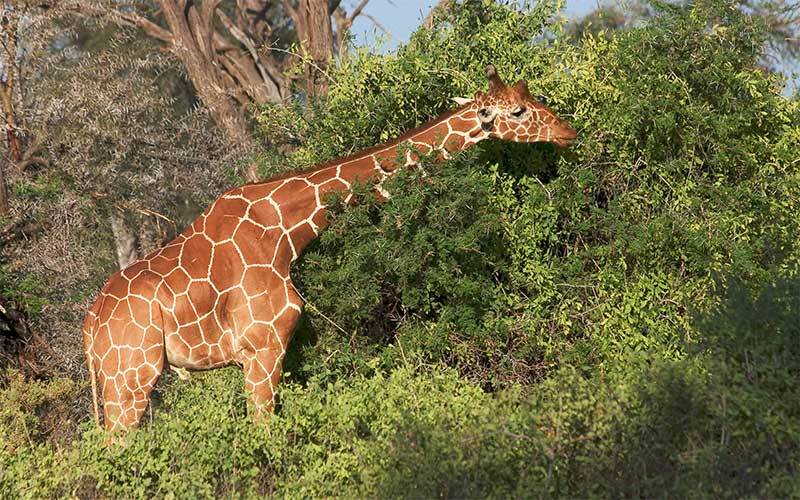 African Savanna giraffes eating on acacia leaves; the trees release chemicals in the air to warn the other trees and the neighboring acacias pump noxious tannins into their leaves to deter the hungry giraffes. 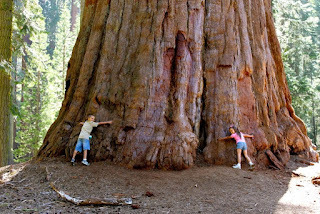 Susan Simard at the University of British Columbia describes the biggest, oldest trees in a forest use their root networks to distribute sugar and water to smaller trees in the area, many of which are their offspring. She calls them "Mother Trees" that are "suckling their young." Why is this not widely known? Because the scientists are trained as reductionists with a naturalistic world view seeing trees as atoms and accidents. Critics in the Smithsonian describe the mantra name of this is designed but explained by natural selection. "Purposefulness" is an illusion like belief in intelligent design." Again we see that facts are suppressed because they do not fit in the evolution agenda. Isa 55:12 12 For ye shall go out with joy, and be led forth with peace: the mountains and the hills shall break forth before you into singing, and all the trees of the field shall clap their hands. As Christians we need to have a strong foundation in the things that we profess and believe. We need to have faith that God has told us the truth and trust His Word. He is outside of time and space and is the Creator. 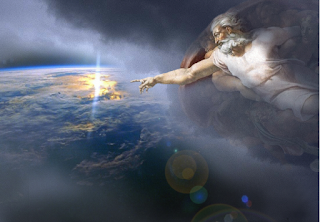 Gn 1:1 In the beginning God created the heaven and the earth. The evidence of His intelligent design is obvious in studying life, the earth, and the universe. Science is not in disagreement with the Bible. The founders of modern science were mostly Christians who believed in God and creation. 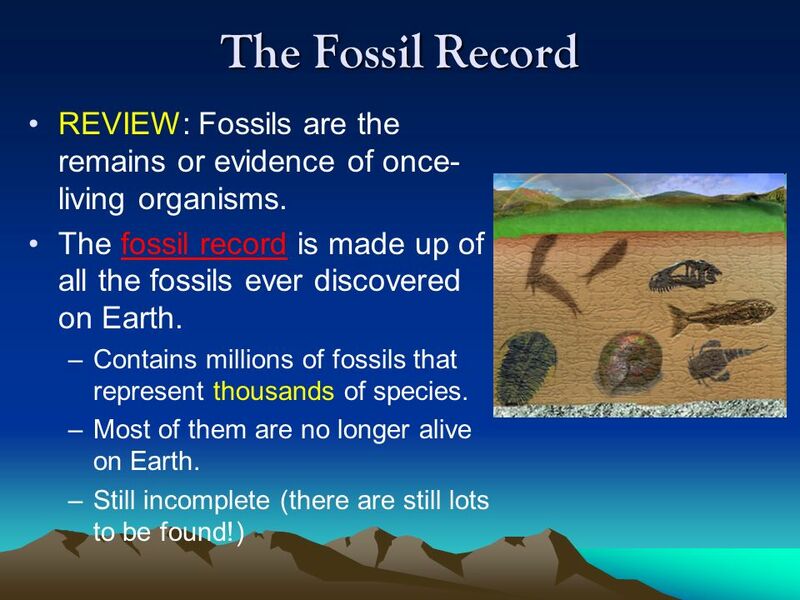 Fossils give evidence of 2 world wide floods, in agreement with the Bible. The earth is not as old as is taught, but is older than 6000 years. This takes in account, according to the Bible, Lucifer's reign and rebellion, the destruction of the old earth (dinosaurs), and the ice age. Modern man did not evolve. He was descended from Adam who was made in God's image. The evolution model has no evidence. 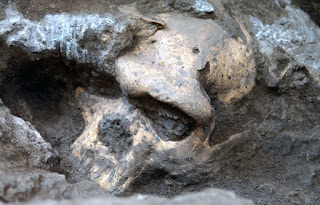 The oldest human skeletons found have not changed at all in 6000 years. Which is when man was created. Evolution does not have a factual foundation and was a first in science; to be accepted without proof. It defies the laws of science. To accept the theory requires great faith, not unlike that of religion. The law of probability of life occurring by chance show that it is impossible. We are living in exciting times today. There are many things that are yet to happen as the Bible describes. For you to understand and be involved in the best God has for you requires that you become part of the family of God. 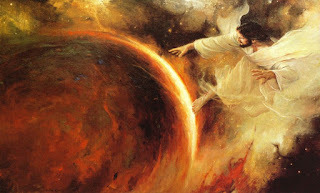 That can only be done by accepting a Saviour, and that is the Lord Jesus Christ, God's gift to mankind. 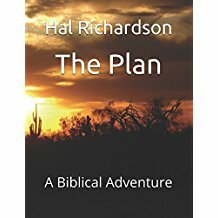 If you enjoy my blogs, you will enjoy my book, available at Amazon.com.